While fresh lemons are rather rarely eaten because of their acids, dried lemons are refreshingly fruity and revive the body in a tasty and healthy way. 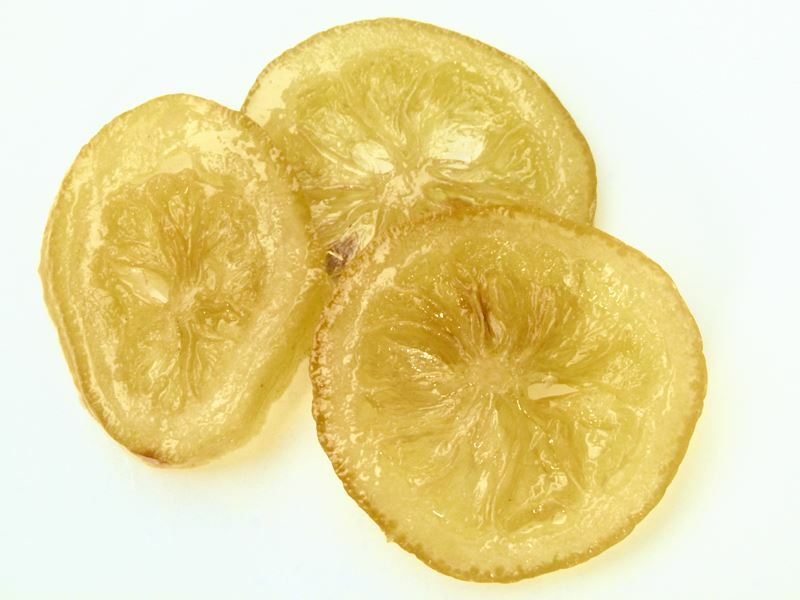 Dried lemons are not only good for cooking, as spice or for decoration but also an ideal snack in between meals. Lemon trees belong to the citrus fruit and probably originate from the north of India. Since they need a warm and humid climate, they now grow also in South America and Asia. As early as the Middle Ages, these fruit with the green-yellow or yellow skin were used for cooking. A citric acid content of 3.5-8 % creates the marking sour taste of the lemons. Lemons are known for their particularly high content of vitamin C. Additionally they contain important phosphorus, pectin and flavonoids.